Derse joined First Weber Group as a licensed agent in June of 2003. She quickly jumped into residential sales and was also invited to work on several condo project teams. During her first few years, she also enjoyed working with corporate transferees and others moving in and out of Wisconsin and chose to make relocation her specialty. In April of 2005, she was asked to join the company's Corporate Relocation team as a business development consultant. 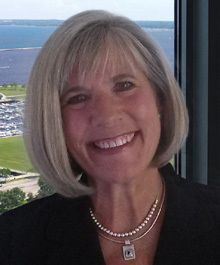 Her extensive connections, expertise and experience in the corporate world, provided a strong basis for First Weber's Corporate Business Development program. While still active in sales on a limited basis, in May of 2007 she acquired the $43 million listing of the Landmark on the Lake Condominiums on Milwaukee's East Side. To focus solely on her role as the Project Sales Director, she took an indefinite leave from her Corporate Relocation position. In 2008, an ownership transition at the Landmark during the market decline resulted in her return to First Weber's North Shore sales office. She then resumed her role as a Relocation Specialist, working directly with corporate recruiters and search firms to assist transferring/relocating employees, as well as relocating individuals. She continues to work with buyers and sellers in residential sales, consistently achieving multi-million dollar production. Derse is a lifelong resident of the Milwaukee area and an outspoken ambassador of Milwaukee and its surrounding suburbs. She is well-versed on the city's real estate climate, its culture, recreational and sports activities, performing arts, and business community. Her business career spans more than 30 years, with a focus on non-profit management, advertising, marketing, public relations, and sales. As the executive director/president of a major non-profit for fifteen years, she helped gain national recognition for the organization. She has held appointments on government commissions and task forces and has worked with many local business, community and civic organizations.